ZSL has been working in collaboration with the IUCN SSC Mangrove Specialist Group to produce a statement for the 2014 World Parks Congress: Mangroves: Protect, Restore, Expand. Please follow the link to read the full statement. Mangrove forests are one of the most severely threatened and undervalued ecosystems on Earth. They provide a wide variety of ecosystem services currently valued globally at US$1.6 billion. For many coastal communities, mangrove ecosystems provide livelihoods, essential sources of protein and coastal protection. Compelling evidence suggests that mangroves play an important role in climate stabilisation, possessing a carbon storage and sequestration potential considered to be greater than that of tropical forests. Mangroves are being cleared at an alarming rate and there are numerous threats to these forests, including; land development, pollution, deforestation for fuel and climate change. One of the major reasons for the loss of mangroves has been to establish fishponds for aquaculture. It has been estimated that since 1980 between 20 and 35% of global mangroves have been lost, with current losses around 1% per year. The last IUCN assessment highlighted that more than one in six mangrove species are currently under threat of extinction. ZSL’s mangrove work is currently focused in the Philippines, where over 50% of mangroves have been lost. The recent super-typhoon Haiyan (locally known as Yolanda) has highlighted the vital role mangroves play as nature’s bioshields for vulnerable coastal communities. ZSL is working to protect the remaining mangroves and restore lost forests, especially through fishpond reversion, helping to ensure greater food security, improved protection against natural disasters and increased household incomes for local communities. ZSL-led projects in the Philippines have rehabilitated and protected over 100 hectares of abandoned fishpond mangroves - around the size of 140 football pitches! ZSL started its mangrove rehabilitation work in 2007 through the Community-based Mangrove Rehabilitation Project (CMRP), with the aim of increasing coastal protection, food resources and diversifying livelihood options. This was achieved through empowering local communities to protect remaining mangrove forests and developing science-based methods for communities to rehabilitate lost forest sites. Over a four year period, close to 100,000 mangroves were planted, with the rehabilitation of 107.8 hectares of mangrove forest well underway. This project resulted in manuals that provide detailed biological and socioeconomic guidance on community-based mangrove rehabilitation and on fishpond reversion to mangroves. In the Philippines, most mangrove forests were lost due to the creation of fishponds for commercial fish and shrimp farming. Often these fishponds are then left abandoned and by law, this should mean they are returned to the Department of the Environment and Natural Resources for reversion. Unfortunately this rarely happens. ZSL has been working to have these Fishpond Lease Agreements (FLAs) cancelled and new healthy mangrove forests to be cultivated at these abandoned pond sites. Our focus has been in Panay, Philippines, which has the highest area of fishponds in the Philippines. We have developed a technical manual demonstrating methods for fishpond reversion. ZSL helped establish a mangrove eco-park in Panay, Philippines: The Kantunggan It Ibajay Eco-park in Aklan has over 1km of boardwalks for visitors to explore the extraordinarily diverse mangrove forest and associated wildlife. Highlights of this eco-park are the centuries old mangroves in the centre of the forest which are over eight metres in diameter. This eco-park is managed by local community groups and helps raise awareness of the importance of mangroves, while providing valuable additional income for the local communities who manage the park. A second mangrove eco-park is under construction in Pedada, Ajuy, which is also on Panay island. ZSL is taking a new approach by integrating mangroves into marine protected areas (MPAs). Current MPAs are largely focussed on coral reefs with the average size on an MPA in the Philippines of between 10-30 hectares. By adopting a strategy of combining mangroves, seagrasses and coral reefs the average size of these MPAs has increased to around 400 hectares. So far ZSL have successfully integrated mangroves into six MPA sites in Panay and Bohol. ZSL-Philippines has built a solid track record of 21 training courses on mangrove rehabilitation over the past six years, graduating more than 1000 participants from various institutions and organisations. The Mangrove and Beach Forest training course is a three-day course, which aims to enable communities to become more resilient to natural disasters, using the science-based protocols for the protection and restoration of their coastal greenbelt through a series of lectures and field visits. The Training of Trainers course is a five-day programme, which includes a series of lectures, group exercises, field visits and practicum sessions. It aims to build the capacity of the participants to train mangrove workers, practitioners, people’s organisations and advocates using science-based protocols in mangrove and beach forest conservation and rehabilitation. Find out more. Established in 2013, the IUCN SSC Mangrove Specialist Group (MSG) aims to support mangrove research and conservation projects by bringing together experts in the field to share their knowledge. Hosted by ZSL, the group aims to assess the conservation status of mangroves; identify, quantify and prioritise threats; and develop plans to conserve the most threatened species and habitats. Kindly sponsored by: Big Lottery Fund; GIZ ACCCoast initiative; Waterloo Foundation; Darwin Initiative; Turing Foundation; International Institute of Rural Reconstruction (IIRR); Philippines Tropical Forest Conservation Foundation, American Forests. The IUCN SSC Mangrove Specialist Group, aims to support mangrove research and conservation projects by bringing together experts in the field to share their knowledge. 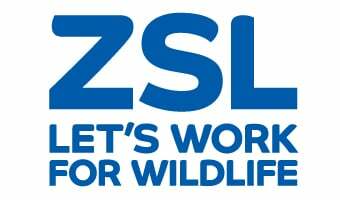 Hosted by the Zoological Society of London (ZSL), the group aims to; assess the conservation status of mangroves; identify, quantify and prioritise threats; and develop plans to conserve the most threatened species and habitats. *PUBLICATION ALERT* Members of the Mangrove Specialist Group rally for the conservation of small mangrove patches. Scientists from across the MSG wrote a joint letter that was publised in Science on the 18th January 2019 addressing the accelerated loss of small mangrove patches globally and the combined effect this will have on the global status of these incredibly important species. The MSG wishes to thank everyone who helped make this a possibility. The letter can be found below and in the sidebar. New Mangrove Restoration Potential Mapping Tool released by The Nature Conservancy at the RAMSAR convention in Abu Dhabi. TNC has partnered with IUCN to develop a global model and map of mangrove restoration potential to help practitioners prioritize areas, and as a way to support and encourage mangrove restoration projects globally. Model results can be viewed in an online mapping and decision-support tool that can be used by environmental groups to show the extent of degraded mangroves, how much land is available for restoration, identify priority restoration areas, and kick-start opportunities for implementing restoration projects. The project will also result in modeled ecosystem service values for restored sites. This quarter's specialist group newsletter is out including highlights of all the fantastic work that our members our doing worldwide, from articles and podcasts, to windsurfing and honey making! Below you will find a snapshot of this month's important dates for anything mangrove related. The full calendar is available in the useful documents section. The importance and vulnerability of mangrove and beach forest ecosystems are recognized by international and local governments emphasizing on protecting and conserving mangrove and beach forest biodiversity. ZSL-Philippines has built a solid track record of more than 35 training courses on mangrove and beach forest rehabilitation over the past 8 years, graduating more than 1,400 participants from various government units and agencies, civil society organizations, academe, people’s organizations, and conservation enthusiasts. The Training of Trainers (ToT) in Mangrove and Beach Forest Rehabilitation and Conservation was successfully delivered beginning in May 2015 to increase national capacity for effective mangrove protection and rehabilitation. Through this training the participants will acquire detailed understanding of the biology and ecology of mangrove and beach forest ecosystems, and enhance facilitation skills in conducting rehabilitation activities including species identification, nursery establishment, outplanting, monitoring, maintenance and community mobilization. A total of 176 mangrove practitioners from various institutions were trained since its inception. ToT participants practice mangrove outplanting in Pedada Mangrove Ecopark, Iloilo.